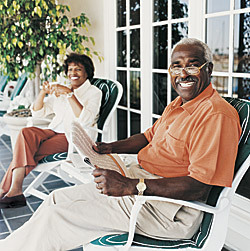 services that enable adults to live a full and fulfilling life. It is designed to meet the medical and social needs of adults, offering weekday, weekend and holiday scheduling options, while preserving their ability to stay an integral part of the community. The Health programs serve participants with specified medical needs and focuses upon health maintenance and rehabilitation. The Social programs emphasize structured activities and opportunities for socialization. Renaissance ADHC serves an adult population accommodating participants 18 and up with cognitive and/or functional impairment and/or seniors. Renaissance ADHC offers physical therapy, personal care assistance, health-related diagnostic services and social services. Full-time nursing services ensure timely, appropriate health monitoring, assessment, intervention and education. A comprehensive therapeutic recreation program includes creative arts, exercise, yoga, discussion groups, lectures, live musical entertainment, movies and local trips. Renaissance ADHC provides breakfast, snack and hot lunch FREE of charge. We also provide door-to-door transportation.